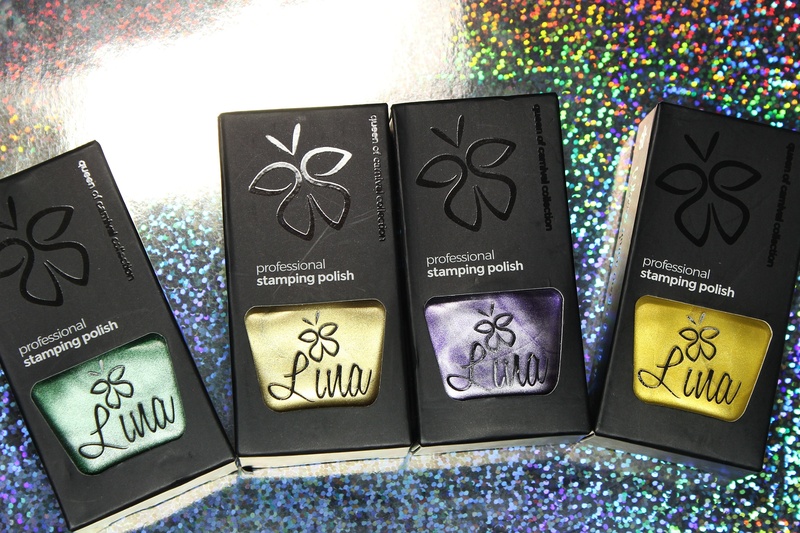 The formulas on these are all similar - perfect coverage in two to three very thin coats, quick dry time, and a natural satin finish. I show them all here with top coat. 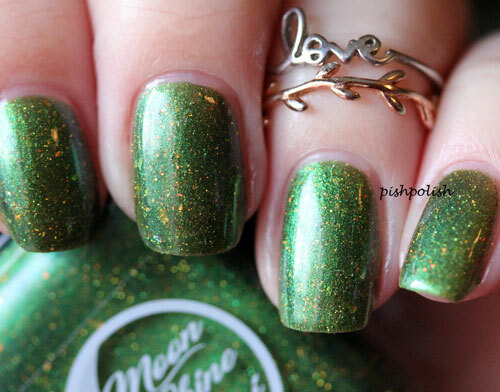 Pumpkin Ale - wowza! 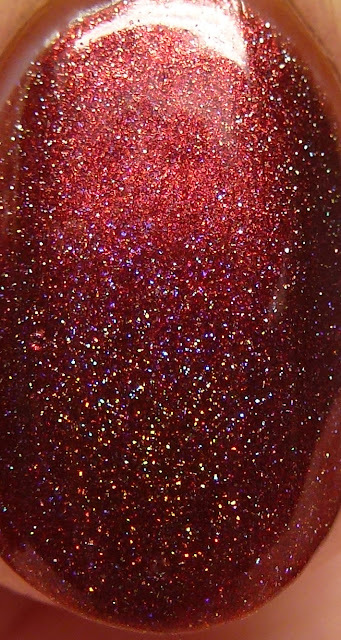 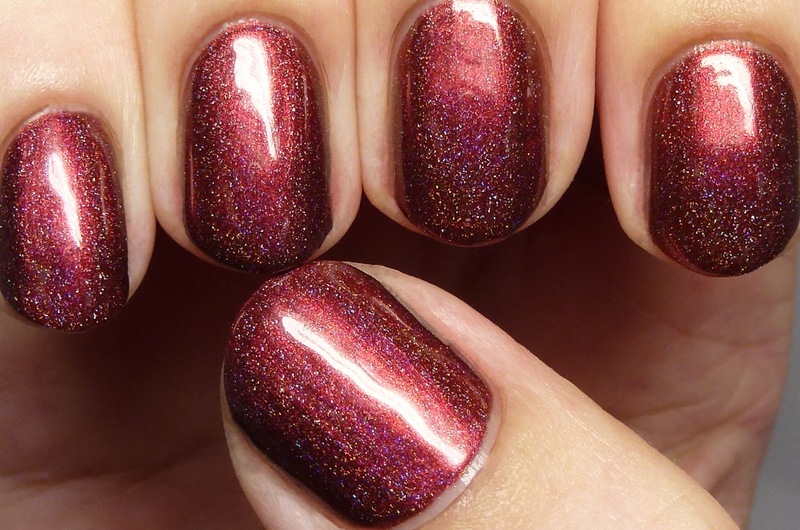 This has dark candy apple red shimmer and scattered holo in a black base. I wore this for two days and loved every minute of it! 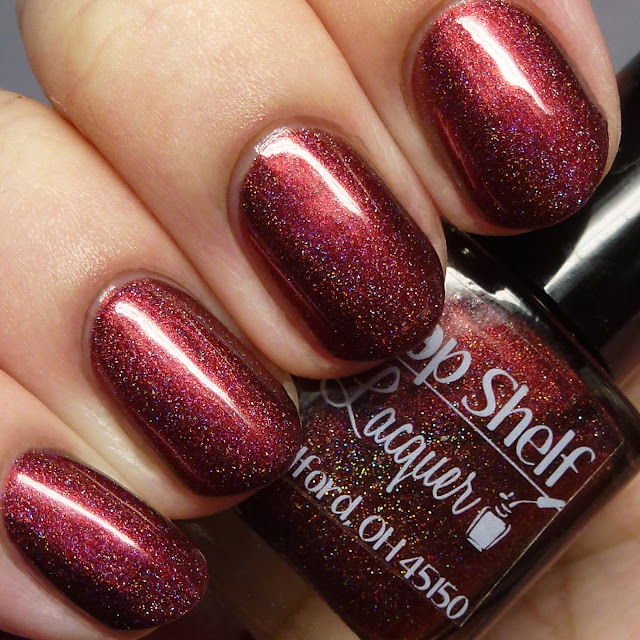 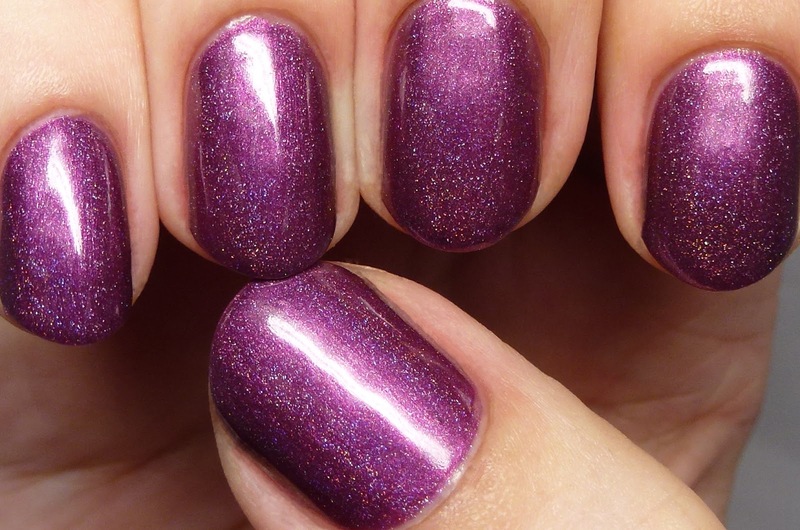 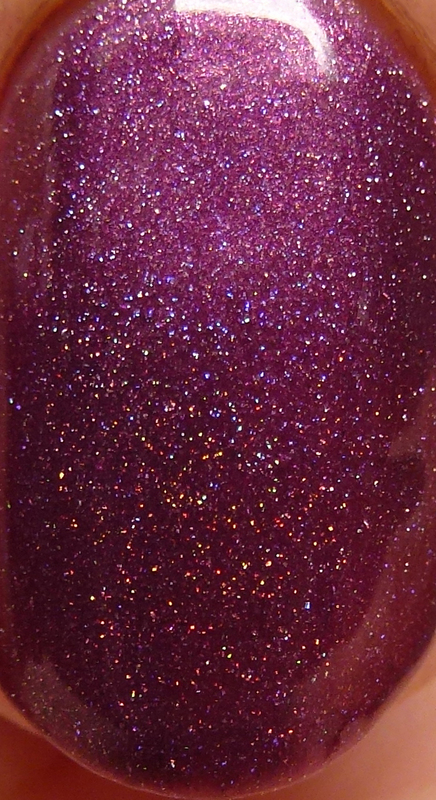 Raspberry Lager has scattered holo in a raspberry purple shimmer base. 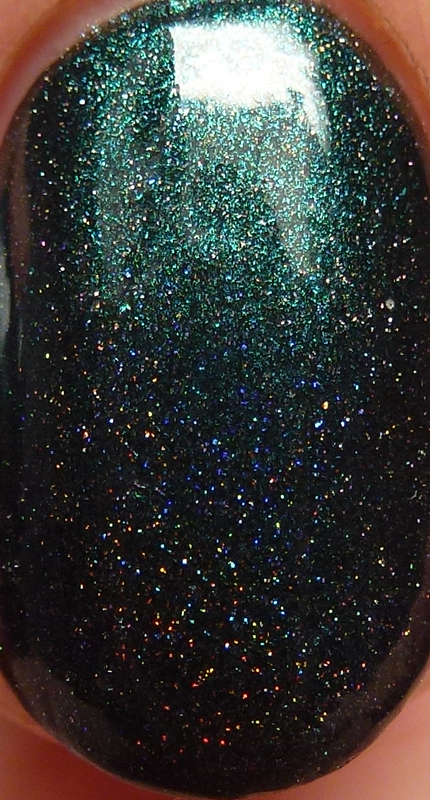 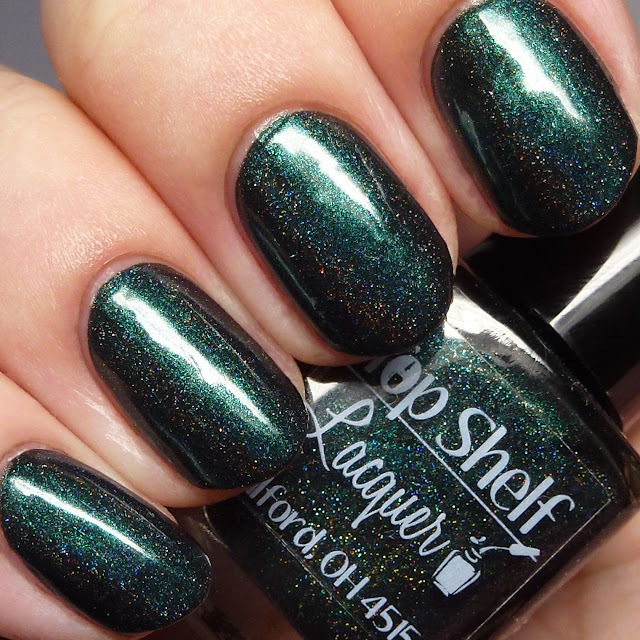 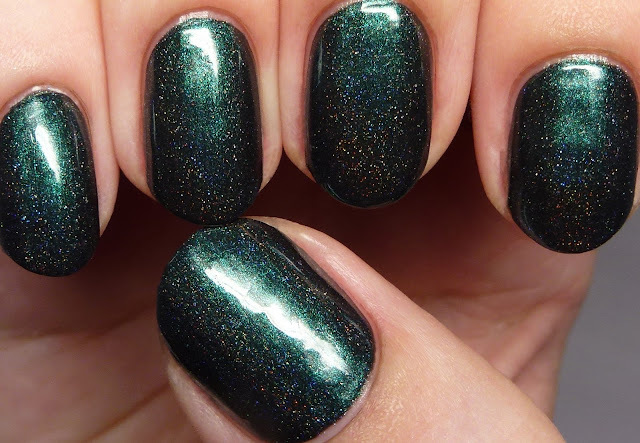 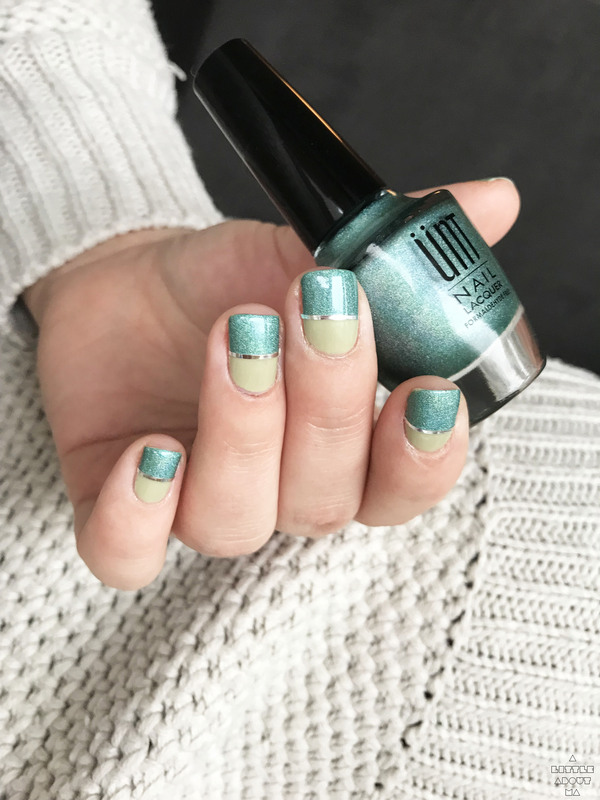 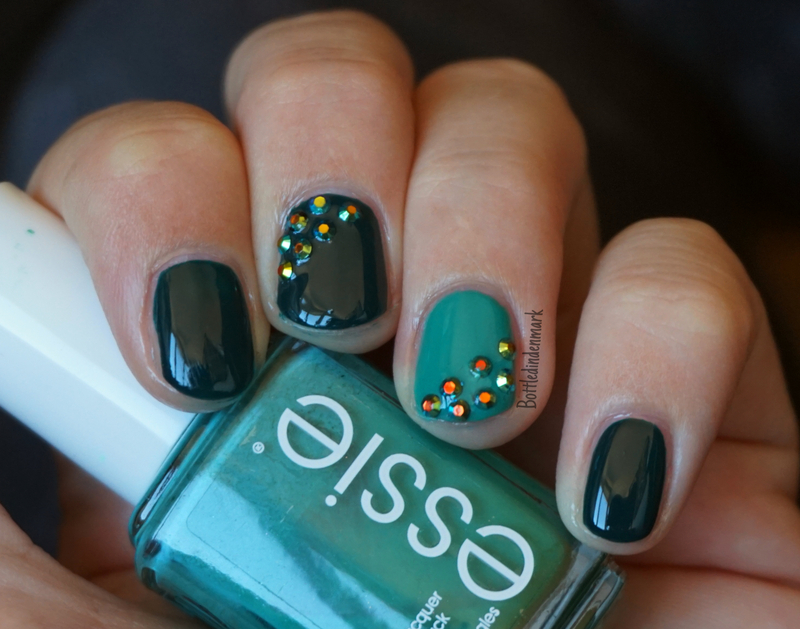 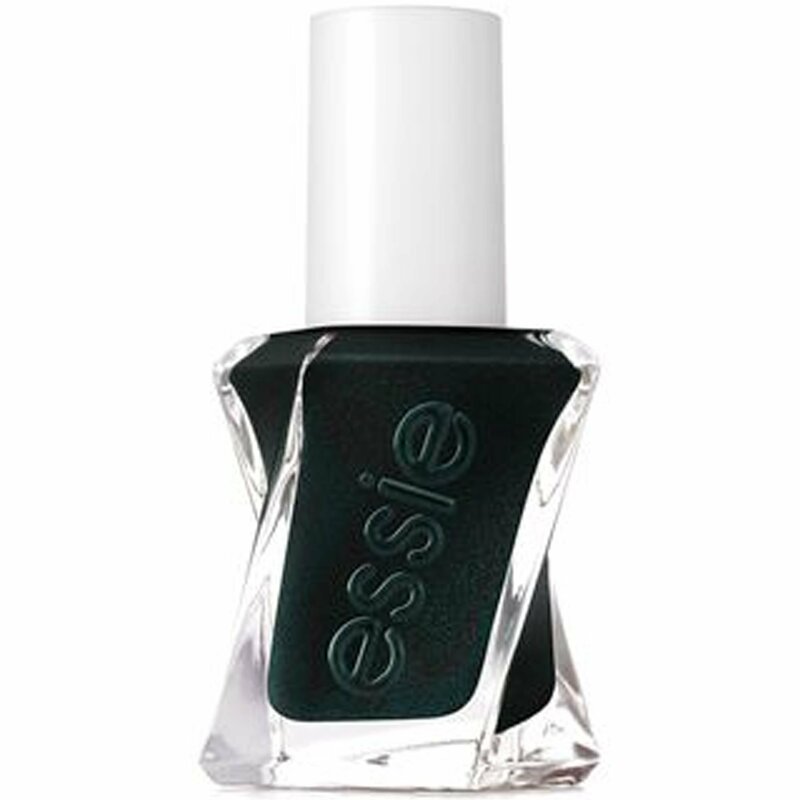 Scottish Ale is a scattered holo with British racing green shimmer in a black base. 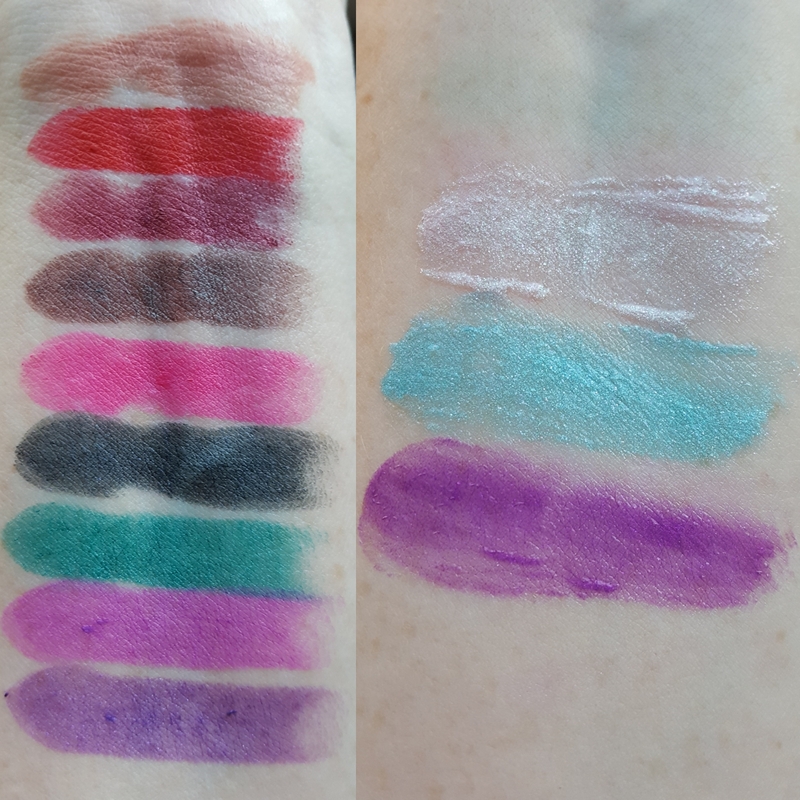 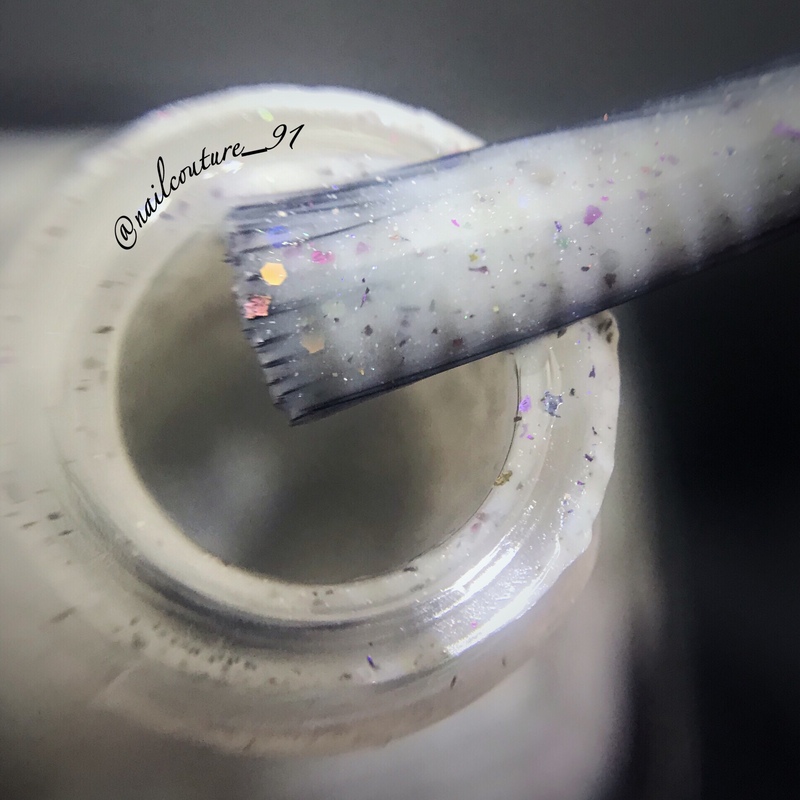 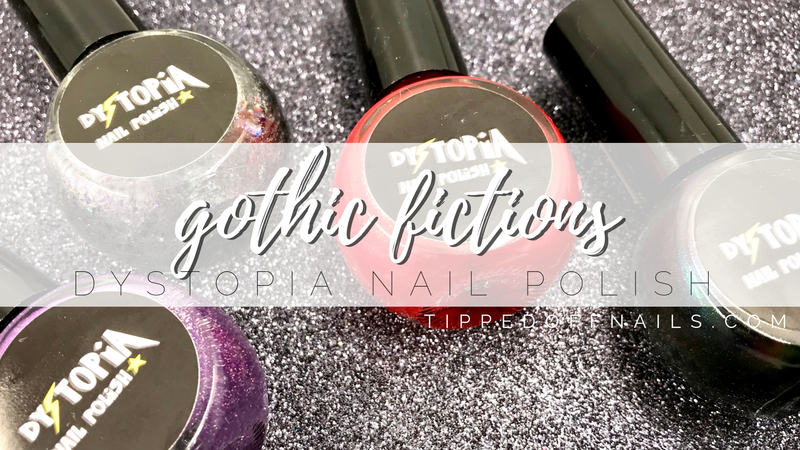 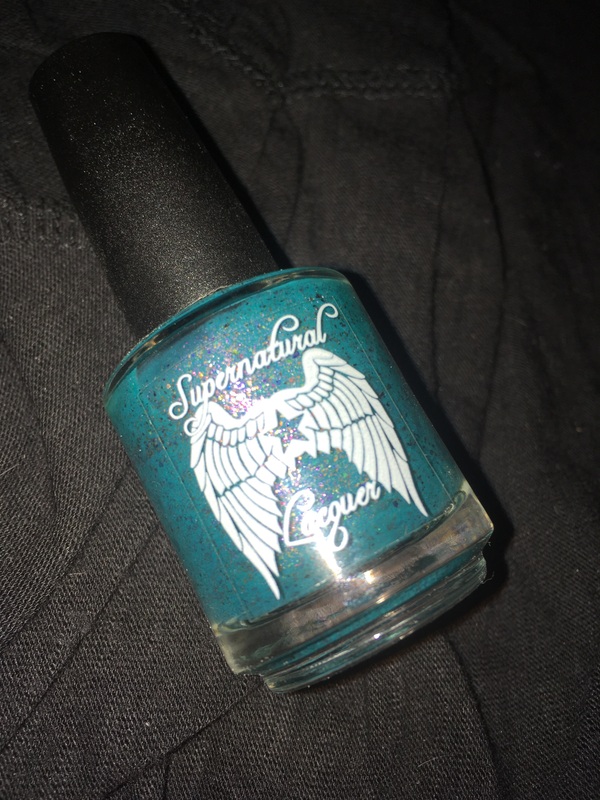 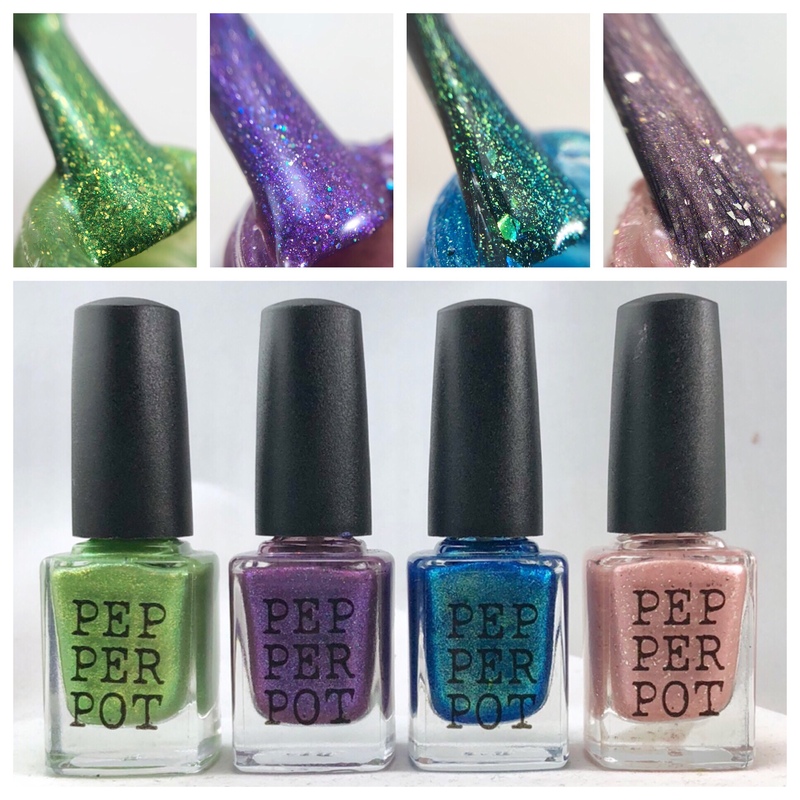 I have to say I am in love with all of these - they are perfect if you love glowy shimmers and the touch of holo adds smooth sparkle without graying out the vampy bases. 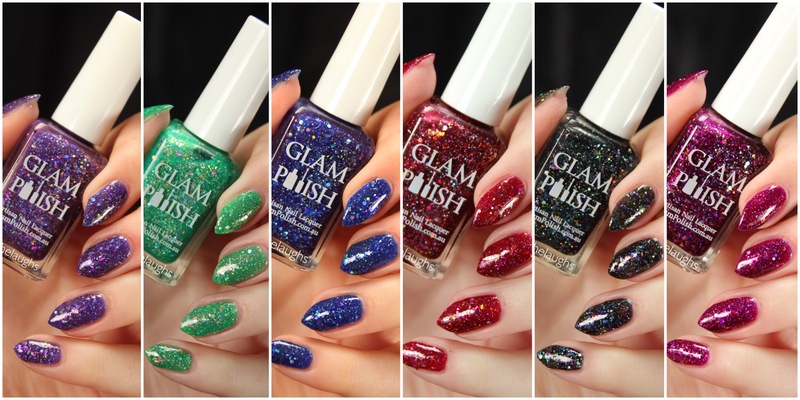 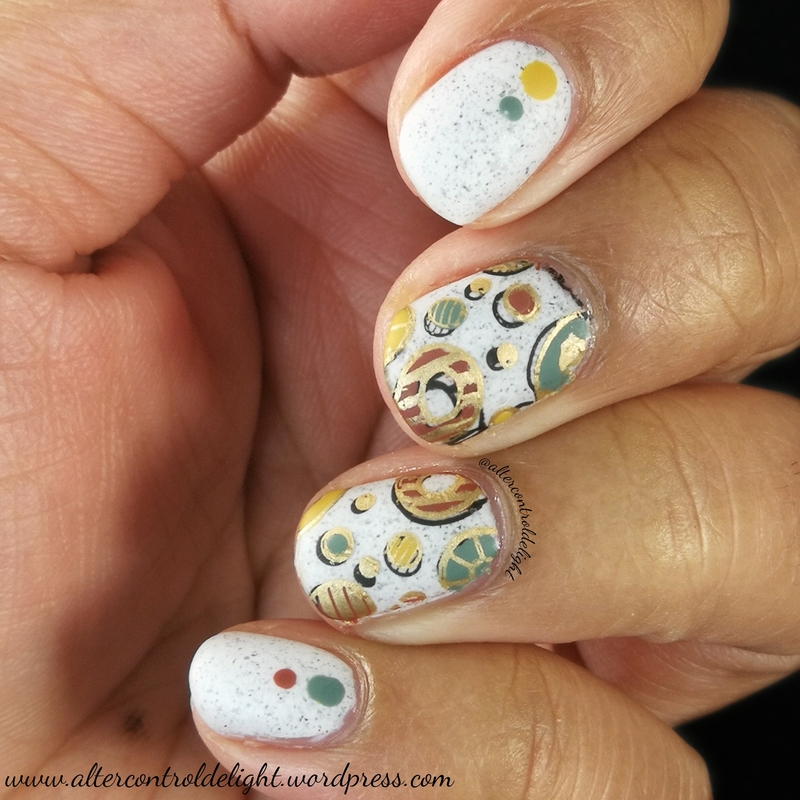 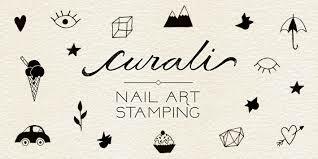 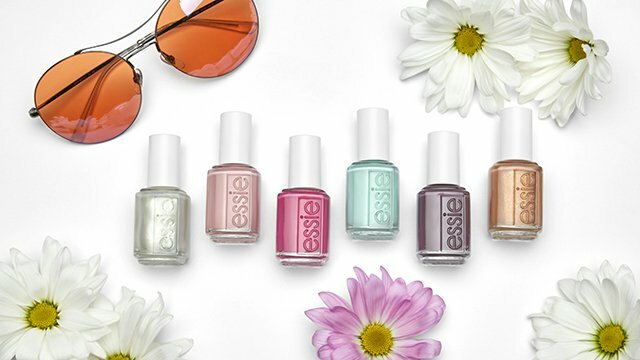 Check out the other four polishes in the collection here. 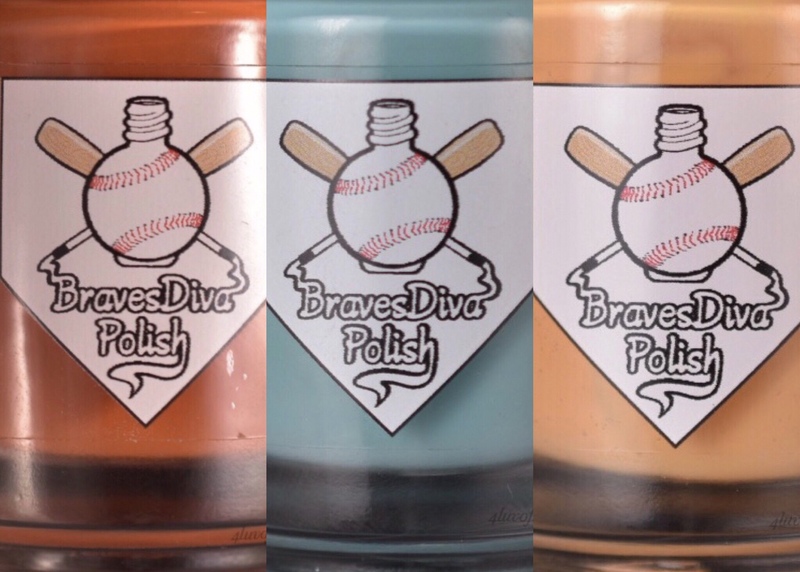 The brand offers two sizes of polish, a standard full size and Polish Shots, which are shown here, 8ml square bottles with full sized brushes. 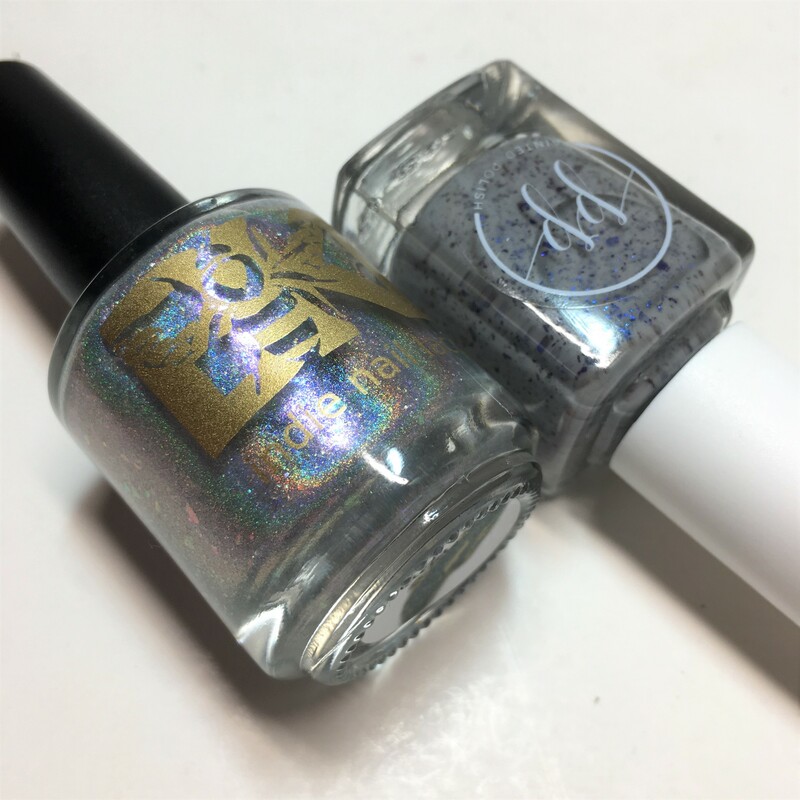 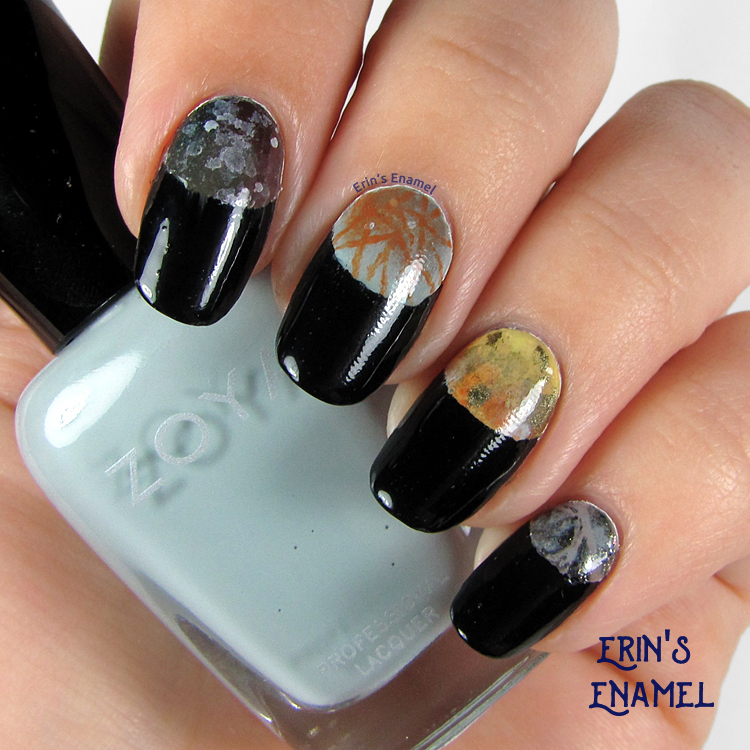 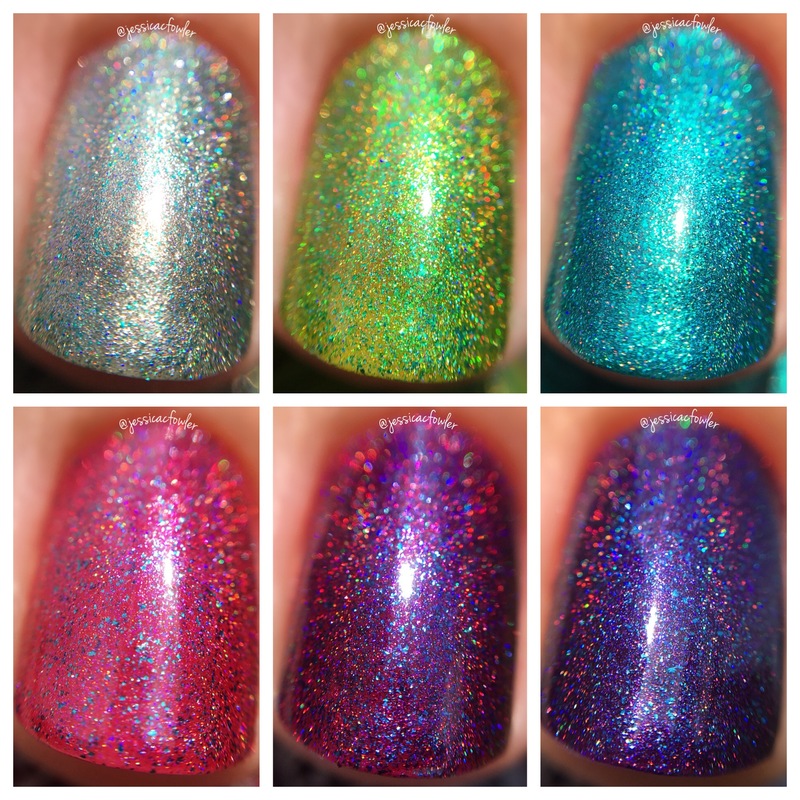 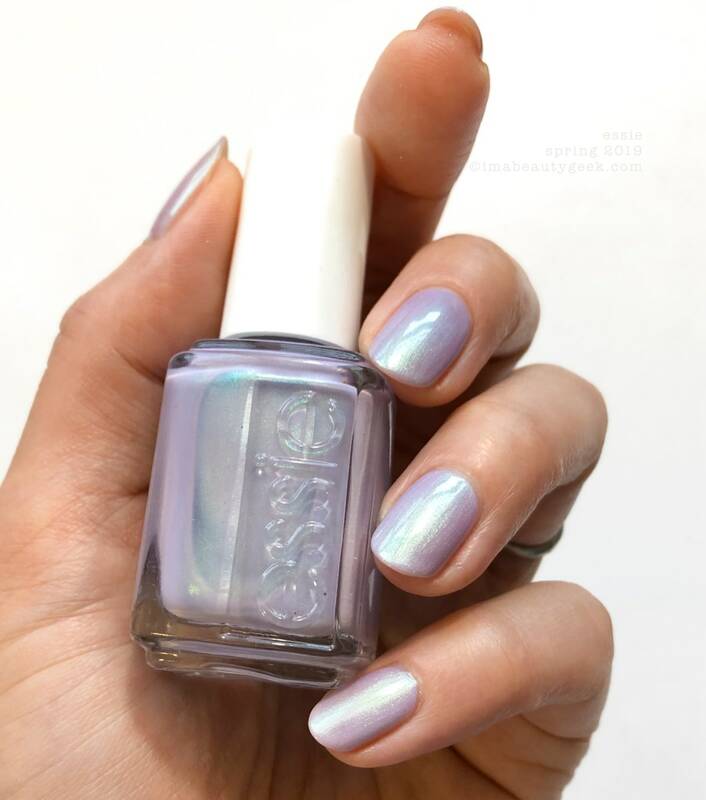 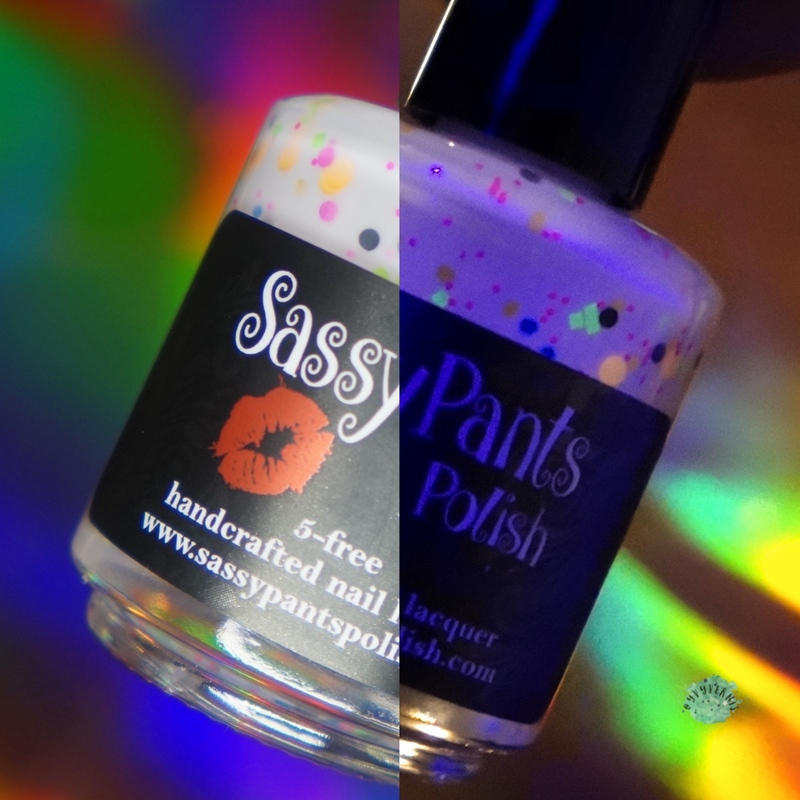 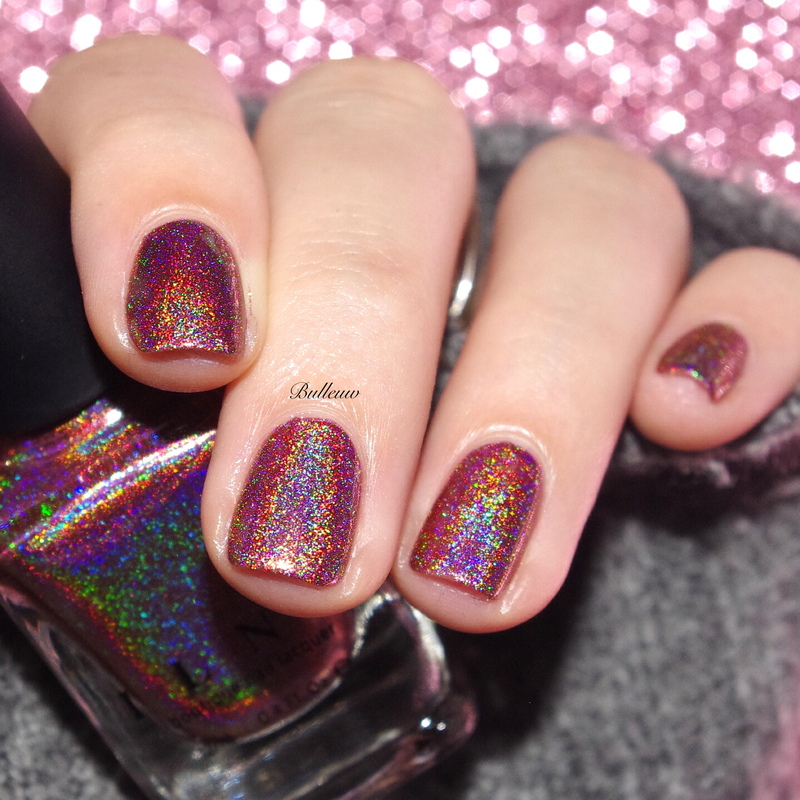 In a holo finish full sizes sell for $11.50 and smalls for $7.50. 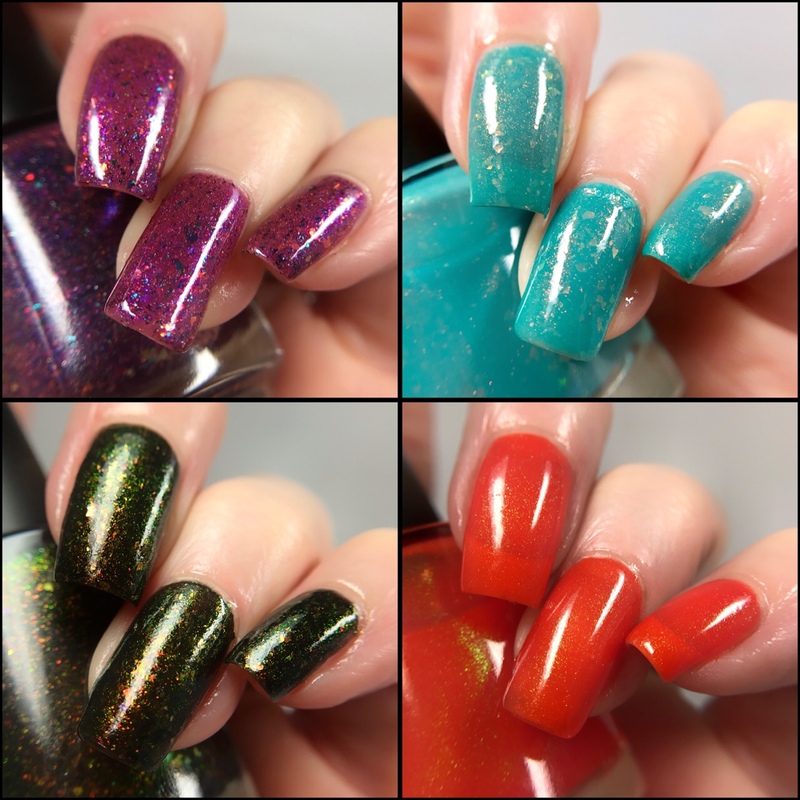 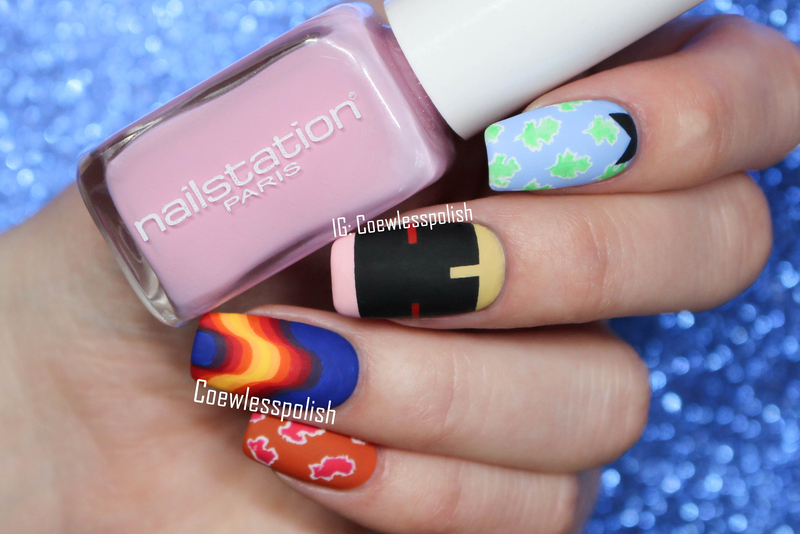 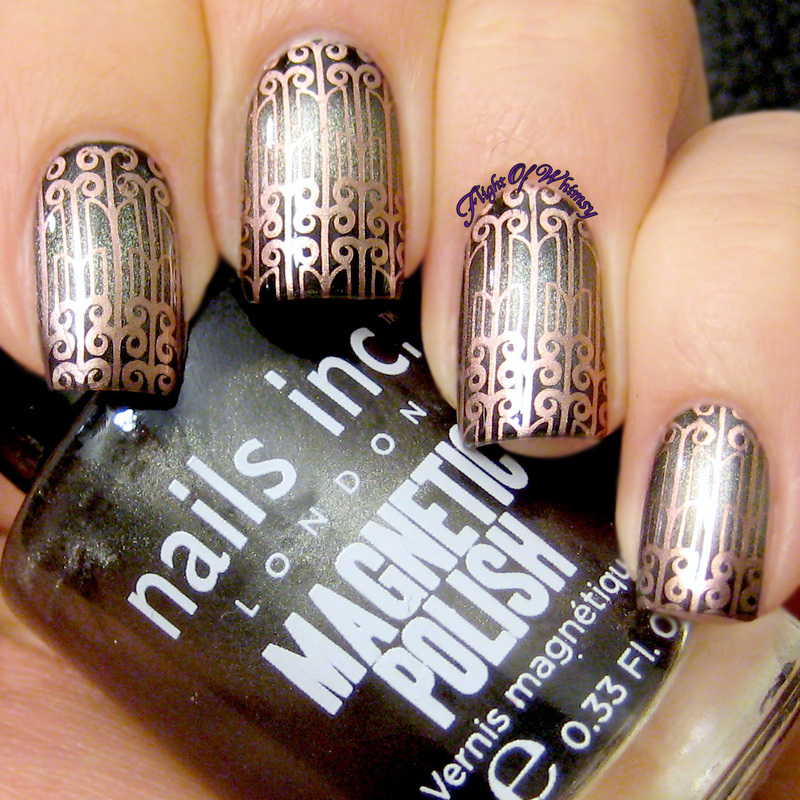 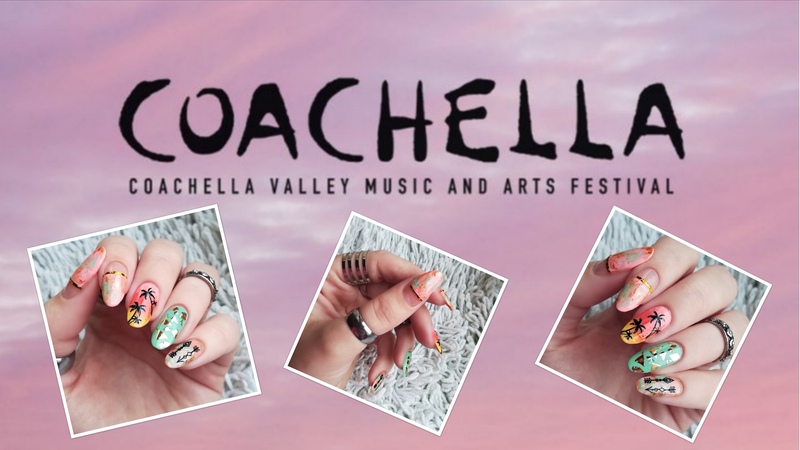 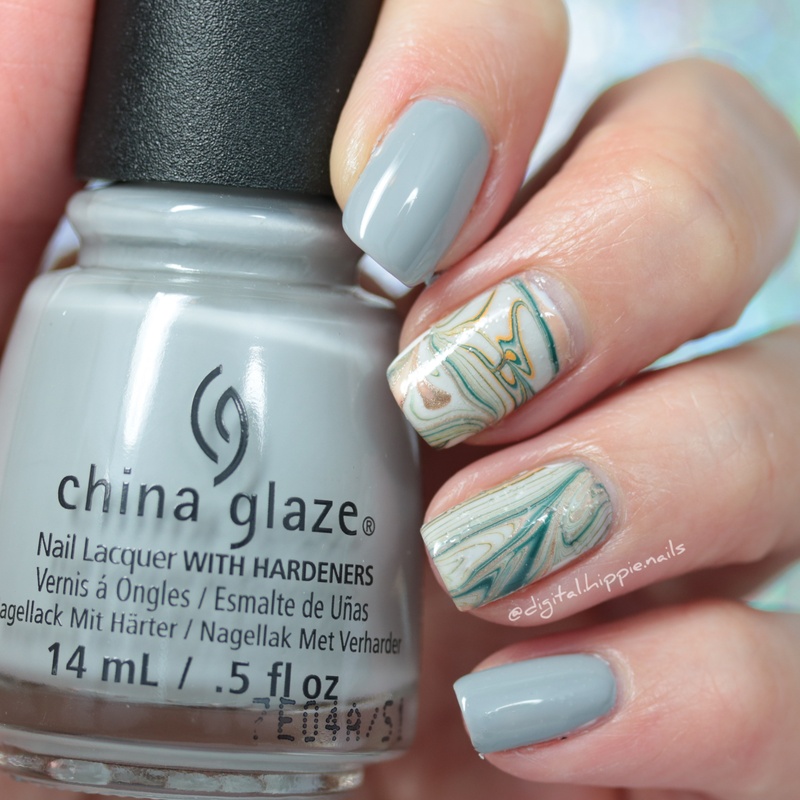 Keep an eye out for more polishes from this collection soon on the blog! 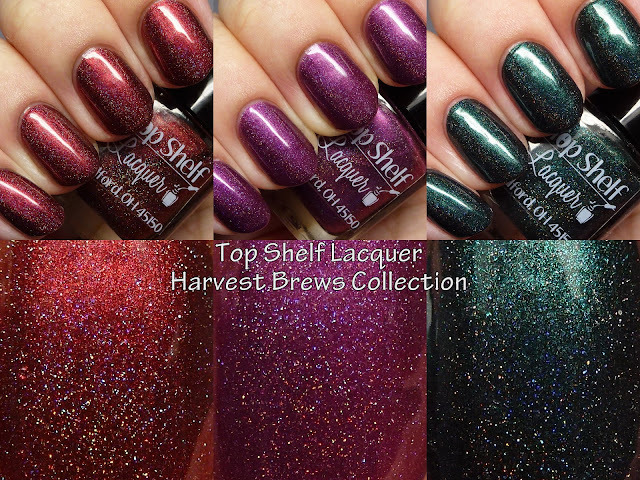 They release on Friday, October 23.